Nothing reminds me more of Italy than a Vespa. 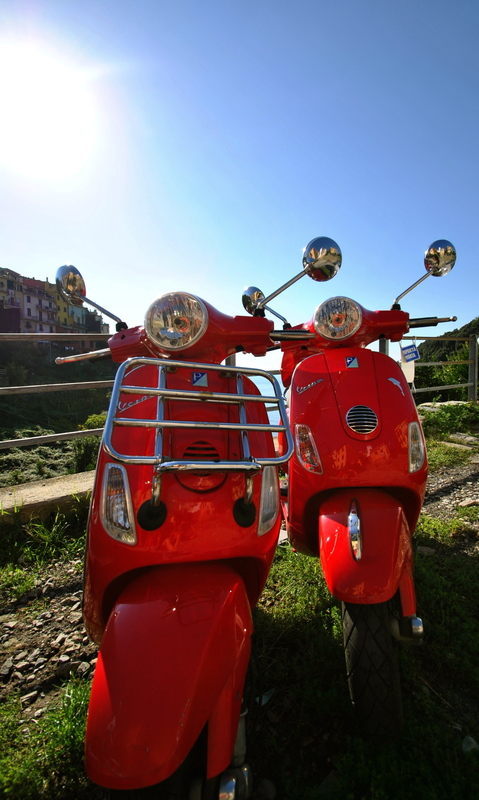 Italians are very proud of them too as you can see from this photo I took in Corniglia, one of the towns in the Cinque Terre a few years ago where the two beautiful red motor scooters were shined to within an inch of their life and perfectly parked to be on show. And who doesn’t love the image of Audrey Hepburn and Gregory Peck driving through the streets of Rome in the 1952 movie Roman Holiday on a Vespa? They are images of abandon, freedom and fun with an amazing backdrop of Rome in black and white. The film helped catapult the Italian scooter into international fame from humble beginnings in a little factory in the Tuscan countryside between Firenze and Pisa. 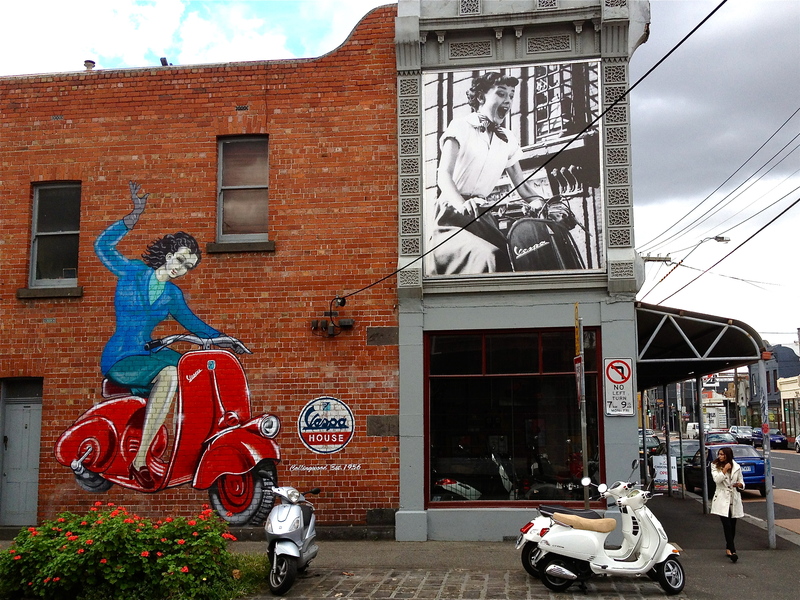 On the weekend I was walking through the streets of Collingwood and found Melbourne’s premiere Vespa dealer, aptly named Vespa House. It has a Roman Holiday poster as well as a beautiful red painted scooter on the external wall. I love the fact that there is a little bit of Italian post-war history just a few kilometres from where I live. I did a bit of research and found out that the Vespa is a type of motor scooter made by Piaggio. They also make many other types of beautifully designed 2 wheel vehicles. Their website tells me that they are the choice for “discerning commuters who insist on a modern design with the quality that can only come from 60 years experience as a specialised scooter company”. They have got me convinced! The design of their motor scooters is incredible. So how popular are Vespas and motor scooters in general in Italy? 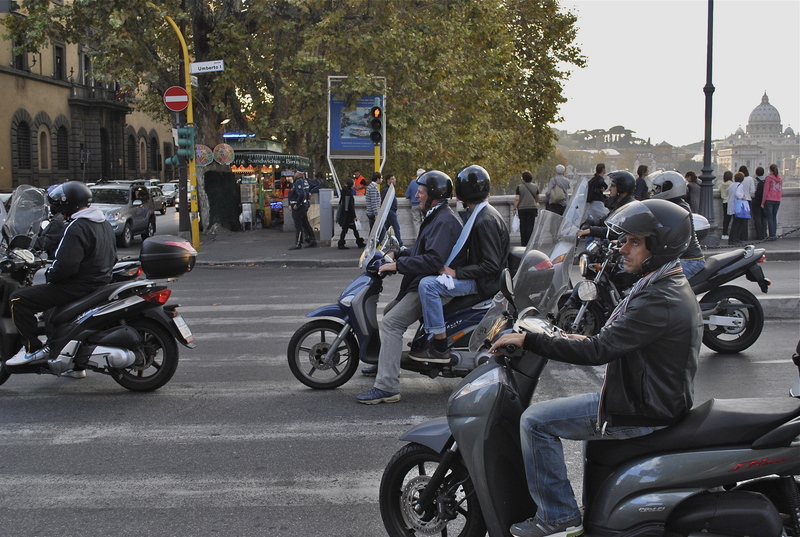 If you have travelled there you will know that it seems like all Italians aged between 16 and 60 ride motor scooters. In a large and old city like Rome where there are lots of narrow lane ways and parking is a nightmare, it makes absolute sense to drive one instead of a car. They don’t use much fuel and they look beautiful, especially the ones made by Piaggio. Riding one in a modern large and spread out city is a bit trickier. Melbourne should be filled with Vespas and other motor scooters. Sadly too many people are used to using their cars to get around in. However there are now more apartment buildings in the inner city and therefore more people – hopefully this translates to an increase in motor scooter numbers. If you are interested in beautifully designed Italian motor scooters, Vespa House is a great place to start. It has been there since 1956, and was established by a Northern Italian called Vittorio Tonon. The shop in Sackville Street, Collingwood is a show room as well as a workshop for parts and servicing. As much as I adore Italy, one of the down sides is the noise of the motor scooter. When I lived in Monfalcone, an army of them would race past making a hell of a noise and would elicit cries of maledetti motorini (damn motor scooters) from my zio Mario. 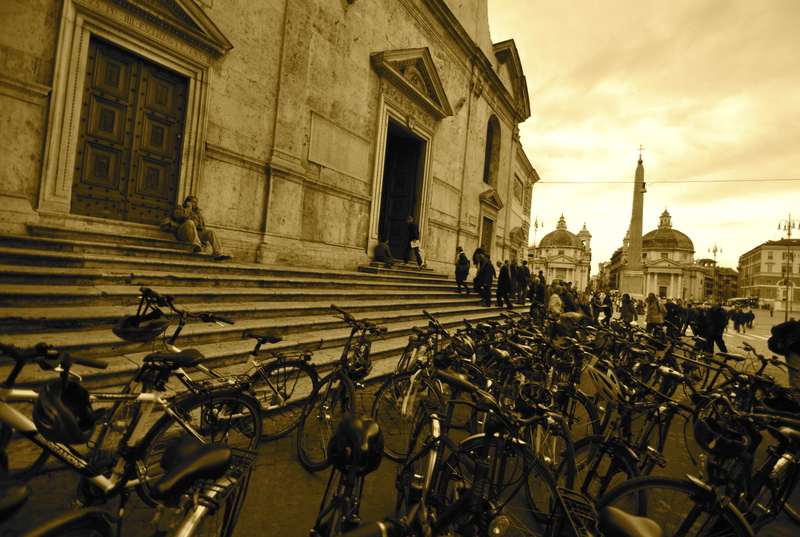 Call me old fashioned, as much as I love to look at a Vespa and in spite of all my romantic notions of riding one, my preferred mode of getting around in Italy will always be la bici (the bike). Clearly many Romans agree with me. And I can always just watch Audrey take her first ride again….